"...powerful revisionist history...this lean book may put some readers in mind of Wartime, Paul Fussell's acidic attack on some of the comforting myths about World War II. Mr. Cumings's prose, at its best, is reminiscent of Mr. Fussell's stylized, literate high dudgeon.His book is a bitter pill, a sobering corrective." "...Cumings has done a lot of research over the years, has a superb grasp of his material and is never less than stimulating." The Montreal Review invited Prof. Bruce Cumings, chair of History Department at University of Chicago, to write a short essay on his books The Korean War: A History and Dominion From Sea to Sea. Prof. Cumings's essay is a part of a series of publications on foreign policy and international relations published in The Montreal Review that aim to introduce the readers with the history and development of the most important issues in foreign politcs today. I really appreciate your willingness to bring two of my books-apparently disparate ones—up for discussion. 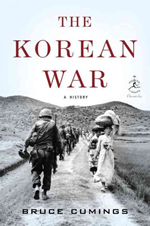 The Korean War: A History follows on several other books that center in one way or another on that war. Dominion From Sea to Sea differs in that it does not deal with Korea all that much (or with China or Japan). Obviously my books on the Korean War have Korean history as the centerpiece, and even my book of essays, Parallax Visions: Making Sense of American-East Asian Relations (1999), is a Korea-centric examination of U.S. relations with China, Japan, Vietnam and East Asia more generally. Nevertheless, Dominion could not have been written without my more than forty years of experience since I first landed in Korea in 1967. Korean history in the modern period, and its relationship with the United States, gave me an optic that was indispensable for examining America's relationship not just to Korea, but to the world. It is an optic that differs radically from most American orientations toward the foreign. The vast majority of Americans who write about foreign affairs and foreign policy write from an Atlanticist or Europe-first perspective, and their theory about how the world works is "realism". It is simply assumed that cross-Atlantic relations are paramount, that they are the first priority, and that they always have been. In fact for 150 years from the revolution against the British down to Pearl Harbor, most Americans were uninterested in Europe, had more or less contempt for the British, and built the country by turning their back to the Atlantic and "facing West" across the continent. Of course, Atlanticist experts also write about U.S. relations with East Asia, but rarely with much discernment or deep knowledge. The best example of this is Henry Kissinger, a charter realist, whose three-volume memoir is very learned about Europe, but when it comes to Japan and China, one is a kabuki play and the other is "boxes within boxes." Paradoxically, the only intense period of Atlanticism was the half-century from 1941 to 1991, when hot war and cold war bound America tightly with Western Europe. Since then relations have been reasonably good between the two sides of the Atlantic, of course, but it is not hard to find new difficulties (like how to handle the current financial crisis), or new groups emerging (like the "Tea Party") that hark back to the anti-European tendencies of the pre-1941 period, which wholeheartedly condemned Europeans for their "despotism" in the 19th century, or for their "socialism" today. But Atlanticism still suffuses the world view of the American foreign policy elite, as well as many intellectuals, who assume that we share with Europeans deep values of democracy, equality, liberty, multilateralism, and the rule of law—especially, the world under the rule of law, exemplified by the United Nations. None of this seemed to characterize Korean-American relations when I first experienced them as a young man. I noticed American soldiers playing sports in the blue colors of the UN Command, but wondered why it was still in existence long after the war ended (and is still in existence). I noticed the obvious racism of most Americans toward Koreans, especially the adults who should have provided better examples to young people like me (I was then in the Peace Corps). I noticed the enormous Yongsan Garrison, occupied continuously since the 1880s by China, Japan or the U.S.—and noticed that I could walk merrily through the gates to get a good cheeseburger, while Koreans had to provide identification (in their own country). I noticed the suburban homes with two-car garages of the official Americans who lived in the nearby Itaewon neighborhood. I learned that the overall commander of the huge South Korean military was an American-and that the singular Korean so many Americans seemed to like best was President Park Chung Hee, soon to make himself president-for-life. I did not find democracy, equality, or the rule of law-only liberty for Korean and American businesses to do what they liked. Things only got worse over the next twenty years (except for the rapid growth of the economy), until the Korean people took matters into their own hands and built an admirable democracy. All this certainly did not reflect Atlanticism, nor did our relations with Japan (where American military bases were all over the country long after the war ended), or China and North Korea (which the U.S. sought to isolate by all means necessary), or the war in Vietnam. Instead U.S. relations with all of East Asia reflected hierarchy, unilateralism, condescension, a failure to take any Asian leader seriously (except perhaps Mao Zedong, for the wrong reasons), and a pronounced belief in the efficacy of military force, leading to the militarization of the entire region-and the vast ocean called the Pacific. In Dominion I explain why "Pacificism" would not be a good characterization of these relationships, but certainly military expansionism-beginning with Polk's invasion of Mexico in 1846 is part of the story, and American power throughout the region continues to be structured by what I call an "archipelago of empire," namely, the hundreds of military bases that still remain in place, long after the wars which gave birth to them. In the past fifteen years, however, and particularly after the Iraq War, this East Asian pattern has been extended throughout the non-Western world: dozens of new bases in Central Asia, the Middle East and Africa; a pronounced unilateralism in foreign policy (particularly under George W. Bush); a quick resort to military force to resolve political problems (Barack Obama and Bush); and stunning disregard for the rule of law. If Bush invaded Iraq without provocation, drawing the condemnation of most of our European allies, President Obama assassinates alleged enemies with impunity. Many of them no doubt deserve it (like Osama bin Laden), but this also is a dramatic departure from the norms of international law-but not from the norms of the expansionist current in American history, going back to James Polk (a president most American have never heard of). In other words, what I first encountered in Korea is increasingly the way that the U.S. operates on a world scale. American historians and other analysts of foreign affairs often suppose that their native country is transparent, fully known, a thing understood. For many years, however, I have thought that my country is difficult to fathom. A deep, abiding and often unexamined "consensus" is so rooted in the U.S. that it is not a matter for conscious reflection (i.e., it is a species of Gramscian hegemony), and therefore Americans conceive of themselves as people without ideology. 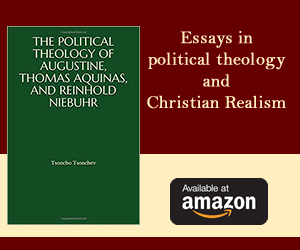 A people that thinks its truths are self-evident and universal also has trouble grasping that it is bound by its own history and particularity. That is one of the reasons I wrote Dominion-to educate myself. But I was very lucky to begin to intuit this position at a young age, thanks to Koreans who gave me a way to critically examine my own country-while "facing East" across the Pacific. An author must always strive for objectivity, while acknowledging that any pure objectivity is impossible. But that goal also implies being impartial, meaning to subject all sides of a relationship to the same standards of inquiry and judgment; it means understanding, say, both a Korean and an American perspective, but standing somewhere in between them. One of the wonderful outcomes of thinking and studying about Korea for the past forty years is the very different perspective that this experience enabled me to develop on my own country's role in the world. The spread of mostly white Americans across a continent empty of anyone who could seriously resist them, combined with the application of the latest technologies to an essentially virgin land, is a major explanation for why the U.S. is the number one economic power in the world, why it has been so since about 1890, and why it will likely remain so, in spite of "the rise of China" and other contemporary bugaboos. Amid so much talk of American decline, even a cursory examination of Silicon Valley, for example, leads one to ask whether any important high technology remains outside of American hands. But that same spread across the continent immediately came up against people of color-first native Americans, then Mexicans, Chinese in the mid-19th century, Japanese and Koreans by the 1890s. 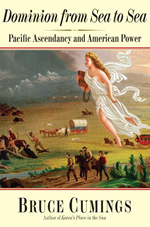 The westward expansion across the Pacific was finally blocked only in our time, in the 1950s and '60s, by the aroused anti-imperialism of Koreans, Chinese and Vietnamese. That is the grand significance of the Korean War, even though it took another war in Vietnam to make the point emphatic and definitive. I regret to say that even today, half a century later, so few American leaders have the experience and sensibility necessary to treat their counterparts in East Asia with the same equality, mutual respect, and open-mindedness that comes so naturally in our Atlanticist relationships. If these ideals of interaction are not quickly fostered across the Pacific, I am afraid the 21st century may be a very difficult one in East Asian-American relations. Bruce Cumings is chair of the history department at the University of Chicago. Author of the award-winning book The Origins of the Korean War, he has also written for The New York Review of Books, The New Left Review, London Review of Books, and The Nation.